Sara is from South Porcupine near Timmins where she became passionate about dentistry as a teen when, as summer student, she worked in her father’s dental office. Sara trained as a Dental Assistant at George Brown College in Toronto in the early 90’s but suspended her career to start a family. Sara later enrolled in Algonquin College and was part of the first class to graduate in the 3 year Advanced Diploma program Dental Hygiene completing the program with honors in 2014. 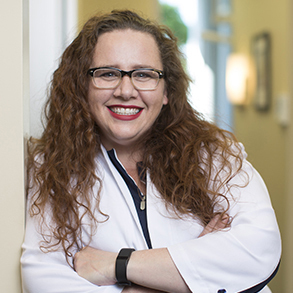 Sara is a member of the Canadian Dental Hygienists Association and College of Dental Hygienists of Ontario and continues to advance her skills and knowledge via regular continuing education programs. Sara is involved in the Kanata Theatre with her son as well as being a trainer for her daughter’s hockey team, the Lady Sens. Her summers are filled with camping and canoe trips with her husband and kids. Preston Dental Centre in Ottawa offers our patients Family Dentistry and Cosmetic Dentistry, Dental Hygiene, Implants, Periodontics and Emergency dental services.